Alex Minassian - Toyota Hilux Utility - Stereo and Accessories. 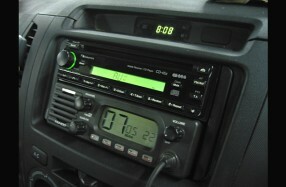 Toyota Hilux Utility - Stereo and Accessories. Sound system, UHF radio and driving lights. Nakamichi CD-45z CD/Aux receiver, Nakamichi PA-502 amplification and Orion (a/d/s) HCCA 5.2 speaker system. GME electrophone UHF 2-way radio.